irrationale: Booting an Eee PC with Windows from SD card? Booting an Eee PC with Windows from SD card? So why, oh why, can't I find any simple instructions on t'internet regarding how to actually go about setting this up? Anybody got any good ideas? Linux is much better at jumping through such hoops than Windows. So if you want a multiboot PC, your best bet is to install Windows first (which keeps it happy) then install Linux afterwards, they can then live happily on separate partitions on the same HDD (you don't even need a memory card) and you choose at boot-time which OS you want to run (similar to the menu you get when Windows does not shut down properly) A good distribution of Linux (like Ubuntu) will handle all this for you during install. If you manage to install Windows over an existing copy of Linux I think you will have achieved übergeek status. Yes, I know. 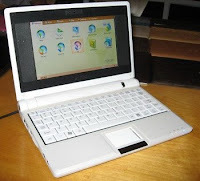 But the Eee PC only has 4GB of 'disk' space to play with, so I don't want two OSs on there. And the Eee is mostly for the kids to use (even my 4 year old can switch it on, get online, play on the Cbeeebies website, close Firefox, open 'tux paint' draw pics, save pics and shut the thing down with no intervention from an adult), so I want the preinstalled Linux OS to be the default. 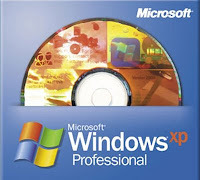 But I'd quite like to be able to occasionally use XP on there. You can set the thing to look to the SD card before looking to the internal SSD for a boot OS, but I want to know how to 'install' Windows onto a SD card. You would then set Linux as your default OS with a 1 second delay. Your kinds would probably not even notice the difference. But when you want to use Windows you reboot and keep your finger over the arrow keys for when the menu appears. Or you could split the partitions more towards Linux and use the memory card for your windows storage. 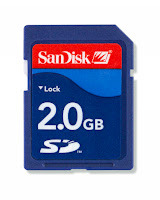 It just strikes me that there is precious little difference between the flash memory SD card and the flash memory internal drive. The main difference is which is accessed first for the boot sequence. I think the difference is whether it is classified as "removable media". If you could somehow fool your Eee PC that your flash card *was* an internal drive, then you'd be in with a fighting chance. 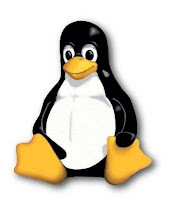 Another solution (if your prepared to fork out) would be to use VMWare (http://www.vmware.com/products/ws)to run a virtual machine on Linux which could be configured to use the SD card, you would then be able to install Windows on this as if it was a new PC. Google may know if there is a free alternative to VMWare.